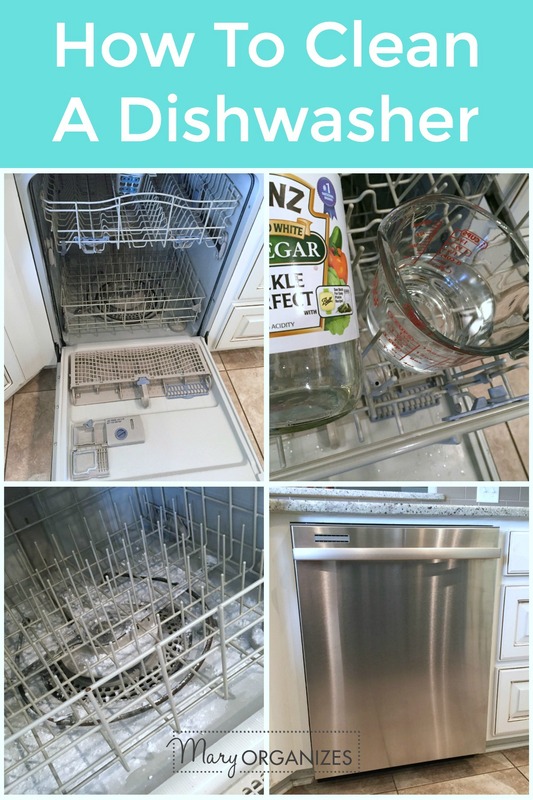 If you want your dishwasher to wash your dishes well, you have to actually wash the dishwasher itself from time to time. The anticipation and build-up for most of these miscellaneous tasks around the house is usually so much worse than the actual task itself. Cleaning the dishwasher is no exception. The actual hands-on work itself takes about 15 minutes, though it stretches over a couple of hours while you run it a few times. Get to the drain, usually by removing the bottom rack, and clean that area of debris. Remove filter (refer to your manual – and you may need special tools); soak in soapy water for 10 minutes then replace. Run a hot water cycle with an (otherwise) empty load with one cup of vinegar in a container on the upper rack. This should remove grease, grime, and odors. Sprinkle one cup of baking soda across the bottom, then run it on a short hot-water cycle. This should remove stains and help the dishwasher look good again. 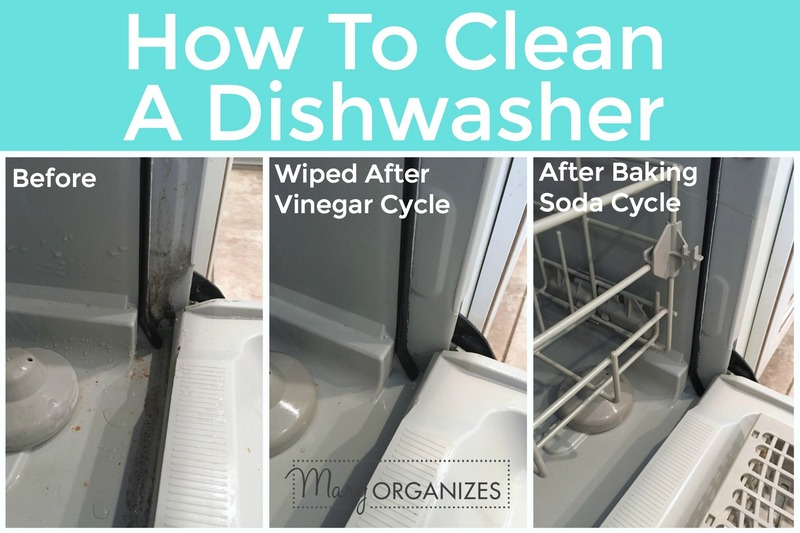 One area you’re going to want to take care to clean is the area inside the dishwasher where it is hidden under the edge of the door when the door closes. It gets really gunky under there and it never gets rinsed by the water. 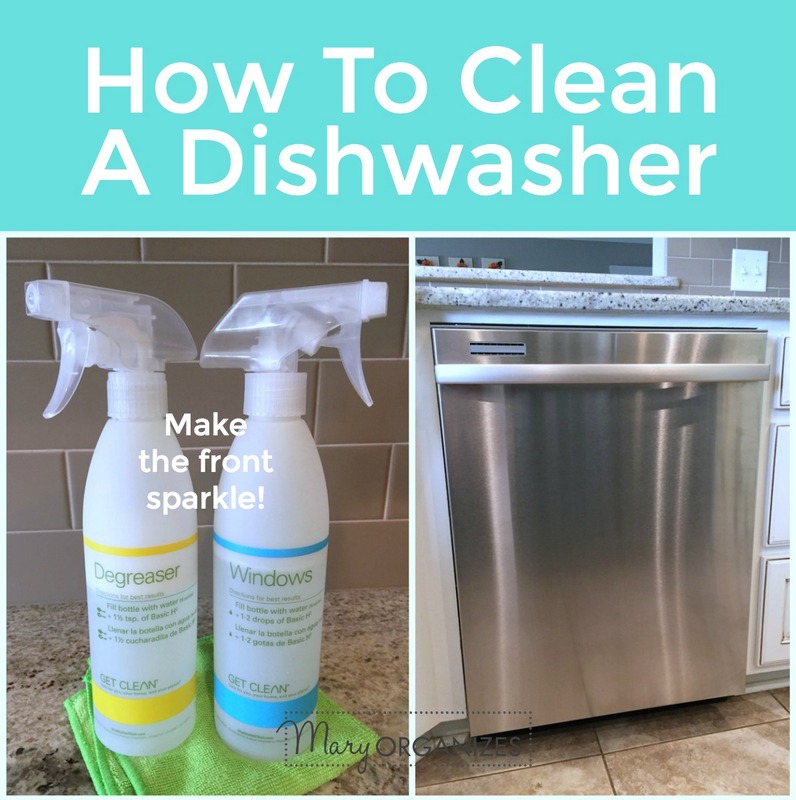 When I cleaned my dishwasher this week, it was pretty gross in this area (can we just blame holidays and then focusing on the declutter challenge), but it got cleaner as I wiped it again during each step. I was just wiping, not scrubbing. The final time I wiped it was amazing! The whole interior is so clean after the baking soda step. I always love the baking soda step. Spray a very light mist of degreaser (2-3 sprays) on the front and use a dry microfiber cloth to wipe all the greasy finger marks off and whatever else is marking it up. Do not over spray or just wipe with a wet wash-cloth unless you want streaks. Too much cleaner and moisture = streaks. Remember that. Now repeat with a window cleaner. Follow the grain of the stainless steel if you are cleaning stainless steel. That wasn’t so bad, was it?! This is definitely something you can do, so get to it! Shaklee’s dishwasher detergent doesn’t build up as much and doesn’t leave the funky white residue on your plastic. It’s also unscented, so your dishes aren’t covered in VOC’s. Who wants to eat detergent? Not I!